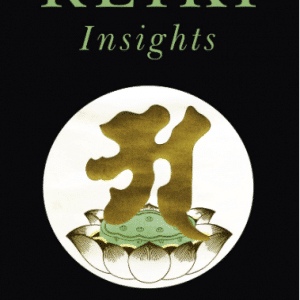 Looking for well-researched and factual information about Reiki’s past, present and future? This is the book for you. It looks at many different Reiki branches, techniques and histories without judging one better than another. It also includes information about global associations and schools. Published by O Books, 2004, revised 2008. Extract from The Reki Sourcebook from International House of Reiki on Vimeo. 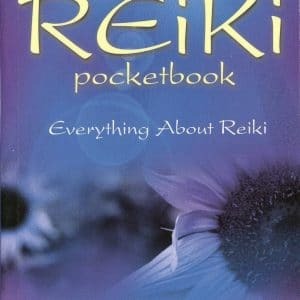 What is The Reiki Sourcebook About? Over 70 illustrated Japanese and Western techniques. Includes the levels and branches they are practised in. If you only buy one Reiki book this year, get this one! What a great book about Reiki, its methodologies, history and different variations! It really is a refreshing read! Different opinions are treated with respect rather than righteousness, reflecting an honest curiosity of the authors rather than cloaked preaching. The authors humble writing style has made this book very accessible and easy to digest, and I would highly recommend it as a valuable resource to all, be it the would-be practitioner or the experienced teacher. This book is an obvious culmination of passion, dedication, honesty, and integrity by the authors. The Best Reiki Book you will find. It is a must for every Reiki practitioner to have in their library. The Reiki Sourcebook is a gift to humanity. It declutters and demystifies so many misconceptions about Reiki. 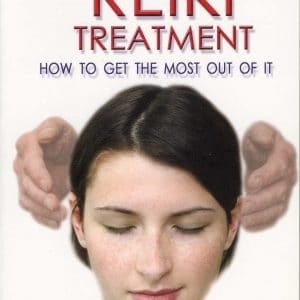 THE definitive book on Reiki. I particularly applaud the unbiased reporting of the facts, past and present, all meticulously researched and the Sources of the information listed.No claims of having all the answers or even any hint of pushing your own barrow. This is certainly a great reference book and I have no hesitation on recommending this book to my students and other Reiki practitioners. There are books which pretend to be a reference point, and there are those which not only are, but also exceed readers’ expectations. « The Reiki Sourcebook » is certainly one of the second category. Whether you are serious about learning on Reiki, or you are just curious, this book will satisfy you. It was about time that such book be written! There is so much I would want people to read. Suffice to say it is a must for all Reiki people. An absolutely indispensable resource that everyone involved with practical Reiki will want to own. Everything’s There! You will find EVERYTHING you would like to know about Reiki in this book, for this is the most updated and extensive work done by the enthusiastic Reiki Masters and researchers, Bronwen and Frans. I do believe this book will be highly appreciated and treasured by all Reiki people. Personally I’m hoping that in the future a Japanese version of the book will be published for the Japanese readers. I recently ordered a copy of your new book, The Reiki Sourcebook and have been reading through it. It’s a really nice book and it must have taken you a long time to compile all the information.The style is refreshing. I really appreciate the way you have tried to base the material on verifiable facts and also kept the material non-competitive. I like the way you indicate mistakes that were made in the formative days of western Reiki, correct the mistakes yet maintain respect for those that made them. Sorting out all the various histories and theories and also including many of the various branches of Reiki and creating an overall picture of the current situation of Reiki in the world is really a big job, which you’ve done well. Thanks for taking the time to create this wonderful book. Just a quick note to tell you that you have done an incredible job researching and pulling the pieces together into a well-organized book. So many people ask me where “such and such” Reiki comes from. Well, now people have a source book with which to find out this and other information. What an incredible work from Bronwen and Frans’ hearts. There is so much I would want people to read. Suffice to say it is a must for all Reiki people. Now there is an informative practical book that covers all the different branches and levels of Reiki. This book brings us into a relationship with Reiki that is centered. In this center where love and respect are we find “the fuel that gives ultimate structure and purpose in life, Reiki.” Well done! I applaud you both. Mari Hall is a Professor of Social Services and a Doctorate in Theology. She is the best selling author of Practical Reiki, Reiki for Common Ailments, Reiki for the Soul and Reiki a practical way to Harmony. The Reiki Sourcebook is a gift to humanity. It declutters and demystifies so many misconceptions about Reiki. From the perspective of the vulnerable, susceptible would-be client they can easily find out what Reiki is and also what not to expect. To course participants it presents clear info and advice on many things beyond the tutors basic remit. For master-teachers this is also a valuable reference tool for all to share. If Reiki is to become part of mainstream integrated healthcare and be professionally accepted The Reiki Sourcebook is also ‘a must’ for fellow healthcare practitioners. Thanks so much to Frans and Bronwen for this inspired work. Frans and Bronwen Stiene, founders of the International House of Reiki were continually coming across hints that suggested there was more to the system of Reiki than meets the eye. Historical discrepancies, symbol variations and changed attunements suggested that the system had become somewhat like a game of Chinese whispers. The inability to verify much of the ‘new’ historical material was also causing disillusionment amongst many practitioners. On travelling to Japan they realised that traditional Japanese Reiki communities with ancient practitioners were slowly opening their doors to Westerners and many of Reiki’s unknown secrets were gradually being divulged. This journey stimulated Bronwen and Frans to write a book tracing the history of the system through to the modern day. To help clear confusion in the Reiki world this book also includes lists of branches, schools and organizations throughout the world. There is a comprehensive lineage chart, timeline, extensive glossary and general information for novices and practitioners of all levels. 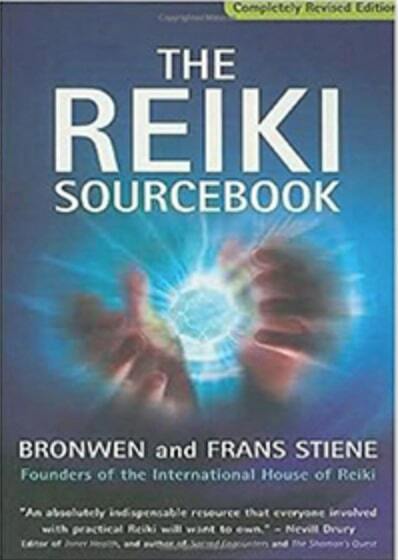 This book is due out in December 2003 and is called The Reiki Sourcebook. To learn the system of Reiki is simple and yet today the processes vary considerably from school to school. Mikao Usui created the teachings in the early 1900s and they came to the West via Hawaii in the1940s. Here it seems the system was quietly altered to adapt to the turbulent times of World War II. The consequences are that for the last 60 years Western Reiki students have been unaware that there was a more traditional and spiritual side to Reiki. After the death of the Western Reiki Master Hawayo Takata in 1980, the system took on many new faces and there are likely to be over 1000 different branches of teachings available today. Some of these new branches have channelled information; others claim to have ‘the only true teachings’. All in all there have been innumerable inconsistencies in the stories that Reiki Masters have told their students. Some believe the system of Reiki is Egyptian, Tibetan, or even linked to Shambhala. Questions have arisen such as; was Mikao Usui, the founder of Reiki, a doctor or not? Did he charge $10, 000 dollars to become a Reiki Master? Did he use manuals to teach? Was he a Christian? The intent of The Reiki Sourcebook is to look closely at all these questions and to link together information that has been spread far and wide by time and circumstances. By capturing the results of this systematic global research, it aims to share the information and to promote and stimulate discussion in the global Reiki community. It is not entirely about ‘new’ information but the bringing together of histories and anecdotes to create a cohesive understanding of what has happened to and been said about the teachings during the past 100 years. It is believed that this will be a valuable resource for anyone interested in the history of Mikao Usui, his teachings, The system of Reiki and related practices. It is also for beginners or those who feel lost and confused by the myriad of choices that are presented to them as Reiki in today’s society. This is an attempt to create unity rather than dissension. Until now no book has tackled these questions from such a practical and analytical standpoint. If we can see where we came from – we can see clearer where we are heading. This system is about to change. It will not become more complex or difficult or contain more jargon as has happened in the past. It will simply return to its simplest, highest form and its practitioners, as individuals, will blossom taking their communities with them. If you are looking for a single copy you can also ask the distributors for a bookstore in your vicinity that sells The Reiki Sourcebook. If a distributor is not listed in your country then let us know and we’ll send you a further distribution list. Teachers have been contacting us from many different countries and branches of Reiki to tell us that they love the book and will be using it as a standard source material textbook for their students. Have a look below for ideas on how to use this book with your students. It is possible to buy books in bulk from your national distributor and sell them to students at the recommended retail price. Please see above for a distributor in your country. It is a reference book, a compendium, an illustrated guide, an encyclopedia and even a manual. Why not buy it in bulk and (if you aren’t selling them) GIVE them to your students – just include the cost in the course fee. This supplies them with the best possible grounding in the system of Reiki that they can possibly receive. To complete your, and your students, training don’t forget to check out The Japanese Art of Reiki if you are wanting your students to know more about the Japanese aspects of the system and how to practice them. 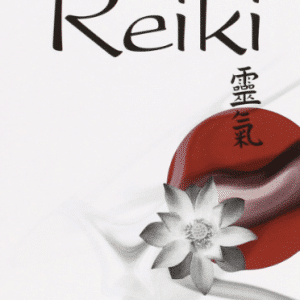 Quickly research Reiki facts – any fact….